We now examine this report’s designation of Cuba as a “State Sponsor of Terrorism,” i.e., as a country that has “repeatedly provided support for acts of international terrorism.” This post’s analysis is also informed by the U.S.’s similar designation of Cuba in the annual reports on terrorism for 1996 through 2011. Earlier posts analyzed and criticized the reports for 2009, 2010 and 2011. “Cuba was designated as a State Sponsor of Terrorism in 1982. Reports in 2012 suggested that the Cuban government was trying to distance itself from Basque Fatherland and Liberty (ETA) members living on the island by employing tactics such as not providing services including travel documents to some of them. The Government of Cuba continued to provide safe haven to approximately two dozen ETA members. In past years, some members of the Revolutionary Armed Forces of Colombia (FARC) were allowed safe haven in Cuba and safe passage through Cuba. In November, the Government of Cuba began hosting peace talks between the FARC and Government of Colombia. There was no indication that the Cuban government provided weapons or paramilitary training to terrorist groups. 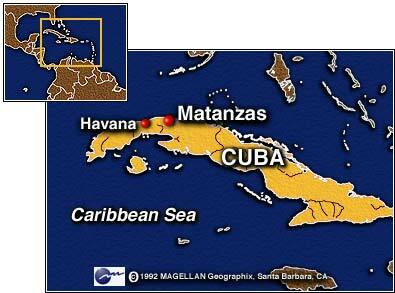 The Cuban government continued to harbor fugitives wanted in the United States. The Cuban government also provided support such as housing, food ration books, and medical care for these individuals. On its face this alleged justification proves the exact opposite: Cuba is not a state sponsor of terrorism. Indeed, this and earlier U.S. reports admit that “Cuba no longer supports armed struggle in Latin America and other parts of the world” (1996, 1997, 1998, 2008, 2009), that there was no evidence that Cuba had sponsored specific acts of terrorism (1996, 1997) and that there “was no indication that the Cuban government provided weapons or paramilitary training to terrorist groups” (2011, 2012). Similar admissions were made in the U.S. reports for 2005, 2008, 2009 and 2010. Some also reported that in 2001(after 9/11) Cuba “signed all 12 UN counterterrorism conventions as well as the Ibero-American declaration on terrorism” (2001, 2002, 2003). I also note that the latest report in its Western Hemisphere Overview says that in “2012, the majority of terrorist attacks within the . , . Hemisphere were committed by the . . . [FARC]. The threat of a transnational terrorist attack remained low for most countries in the Western Hemisphere.” There is no mention of Cuba in this overview. Nor is there any mention of Cuba in the latest report’s “Strategic Assessment” that puts all of its discussion into a worldwide context. All of this rebuttal so far is based only on what the State Department has said about this designation since 1996. Second, in 2002, the government of Cuba proposed to the U.S. the adoption of a bilateral agreement to confront terrorism, an offer which it reiterated in 2012, without having received any response from the U.S.
Third, Cuban President Raul Castro on July 26, 2012 (the 59th anniversary of the Cuban Revolution) reiterated his country’s willingness to engage in negotiations with the U.S. as equals. He said no topic was off limits, including U.S. concerns about democracy, freedom of the press and human rights in Cuba so as long as the U.S. was prepared to hear Cuba’s own complaints. In response the U.S. repeated its prior position: before there could be meaningful talks, Cuba had to institute democratic reforms, respect human rights and release Alan Gross, an American detained in Cuba. But let us go further. The first stated basis for designating Cuba as a “State Sponsor of Terrorism” is its allegedly providing safe havens to individuals associated with two U.S.-designated Foreign Terrorist Organizations–ETA and the FARC–and to certain fugitives from U.S. criminal proceedings. Moreover, the 2011 and 2012 reports state that Cuba is “trying to distance itself” from the ETA members on the island and is not providing certain services to them. Earlier U.S. reports also reflect the limited nature of this charge. Of the 20 to 24 members, some may be there in connection with peace negotiations with Spain (2009). In May 2003, Cuba publicly asserted that the “presence of ETA members in Cuba arose from a request for assistance by Spain and Panama and that the issue is a bilateral matter between Cuba and Spain” (2003). In March 2010 Cuba “allowed Spanish Police to travel to Cuba to confirm the presence of suspected ETA members” (2010). Moreover, in March 2011 the Spanish Ambassador to Cuba told former U.S. President Jimmy Carter that Spain was “not concerned about the presence of members of . . . ETA . . . in Cuba.” Indeed, the Ambassador maintained that this enhances his country’s ability to deal more effectively with ETA. In fact, the Ambassador added, some ETA members are there at the request of the Spanish government. The last two U.S. reports say that Cuba is providing “safe haven” to the ETA members, but their separate chapters on the legitimate international problem of terrorist safe havens have no mention whatsoever of Cuba. Most of the reasons for the speciousness of the charges regarding ETA also apply to the charges regarding the Colombian group, FARC. There is no indication in the State Department’s reports of the number of FARC members allegedly in Cuba, but some may be there in connection with peace negotiations with Colombia (2009 report). Moreover, in March 2011 the Colombian Ambassador to Cuba told former U.S. President Jimmy Carter that Colombia was “not concerned about the presence of members of FARC . . . in Cuba.” Indeed, the Ambassador maintained that this enhances their ability to deal more effectively with FARC. As a result, as the latest State Department report admits, in November 2012 Cuba has been hosting peace negotiations in Havana between the Colombian government and the FARC seeking to end their long civil war. Colombia’s president said that support for such negotiations by Cuba and Venezuela has been crucial in helping the two sides to reach agreement on conducting the negotiations. Late last month (May 2013), the two sides announced an agreement to distribute land to small farmers and undertake development projects that would improve rural education and infrastructure that will not take effect until a final peace agreement is reached. There apparently were or are over 70 individuals living in Cuba who are fugitives from criminal charges in U.S. relating to violent acts in the 1970’s purportedly committed to advance political causes, but pursuant to a 2005 Cuban government statement, no additional U.S. fugitives have been permitted on the island. In a few instances Cuba has extradited such fugitives to the U.S. (2001, 2003, 2004, 2005, 2006, 2007, 2008, 2009). One of the U.S. fugitives, William Potts, recently has asked to return and face trial in the U.S. In 1984, he hijacked a Piedmont Airlines passenger plane with 56 people aboard in the U.S. and forced it to go to Cuba. There as a Black Panther and self-styled revolutionary, he dreamed of receiving military training in Cuba that he could use against the U.S. government. This did not happen. Instead he was tried and convicted in Cuba and served a 13.5 years in a Cuban prison plus 1.5 years of supervised release for the hijacking. The State Department’s recent report comes close to admitting this significant change in 2012. In short, the U.S. admits that Cuba is addressing its alleged financial system deficiencies. Moreover, as of February 2013, Cuba is not on the FATF’s list of “bad guys” (my phrase). The two at the bottom of that list are Iran and North Korea (Democratic People’s Republic of Korea), for which FATF calls for all states to apply counter-measures. The other 13 on this list are ones that have strategic AML/CFT deficiencies, but have not made sufficient progress in addressing the deficiencies or have not committed to an action plan developed with the FATF to address the deficiencies: Ecuador, Ethiopia, Indonesia, Kenya, Myanmar, Nigeria, Pakistan, Sao Tome and Principe, Syria, Tanzania, Turkey, Vietnam and Yemen. In summary, the U.S. designation of Cuba as a “State Sponsor of Terrorism” is absurd. This conclusion is shared, in less colorful language, at least by the U.S. Central Intelligence Agency, the U.S. Council on Foreign Relations, the Center for Democracy in the Americas, the Center for International Policy, the Latin American Working Group, former President Jimmy Carter, The Atlantic magazine’s noted national correspondent (Jeffrey Goldberg) and a retired U.S. Army Brigadier General (John Adams). Whatever legitimate issues are raised by these U.S. reports, I submit, they are appropriate subjects, among many, for the bilateral negotiations that a prior post recommended should occur between the U.S. and Cuba to the end of reconciliation and restoration of normal relations. Cuba has been so designated since March 1982.The U.S. terrorism reports for 1996 through 2012 are those that are accessible on the U.S. State Department’s website. I would appreciate detailed comments from anyone with knowledge about the reports for 1982-1995 although they are less relevant due to the passage of time. Iran’s state sponsorship of terrorism, through its Islamic Revolutionary Guard Corps-Qods Force (IRGC-QF), its Ministry of Intelligence and Security, and Tehran’s ally Hizballah had a marked resurgence. The al-Qa’ida (AQ) core in Pakistan continued to weaken. Tumultuous events in the Middle East and North Africa have complicated the counterterrorism picture. Leadership losses have driven AQ affiliates to become more independent. AQ affiliates are increasingly setting their own goals and specifying their own targets. There is a more decentralized and geographically dispersed terrorist threat. Although terrorist attacks occurred in 85 different countries in 2012, they were heavily concentrated geographically. As in recent years, over half of all attacks (55%), fatalities (62%), and injuries (65%) occurred in just three countries: Pakistan, Iraq and Afghanistan. The Department is statutorily required to identify countries that have “repeatedly provided support for acts of international terrorism” as “State Sponsors of Terrorism.” This year the following four countries were so designated: Iran, Sudan, Syria and Cuba. A subsequent post will examine this absurd designation of Cuba. Another chapter of the report concerns “terrorist safe havens,” i.e., “ungoverned, under-governed, or ill-governed physical areas where terrorists are able to organize, plan, raise funds, communicate, recruit, train, transit, and operate in relative security because of inadequate governance capacity, political will, or both.” The following were identified as such havens: Africa (Somalia, Trans-Sahara and Mali), Southeast Asia (Sulu/Sulawesi Seas Littoral and Southern Philippines), Middle East (Iraq, Lebanon, Libya and Yemen), South Asia (Afghanistan and Pakistan) and Western Hemisphere (Colombia and Venezuela). The Secretary of State also is required to designate “Foreign Terrorist Organizations,” i.e., foreign organizations that engage in terrorist activity or terrorism or retain the capability and intent to do so and that threaten the security of U.S. nationals or the U.S. national security (national defense, foreign relations, or the economic interests). This year the report designates 51 such organizations. In 2012, according to the report, a total of 6,771 terrorist attacks occurred worldwide, resulting in more than 11,000 deaths and more than 21,600 injuries. In addition, more than 1,280 people were kidnapped or taken hostage. The 10 countries with the most such attacks were Pakistan, Iraq, Afghanistan, India, Nigeria, Thailand, Yemen, Sudan, Philippines and Syria. 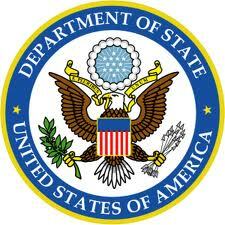 A prior post reviewed the State Department’s terrorism report for 2011. 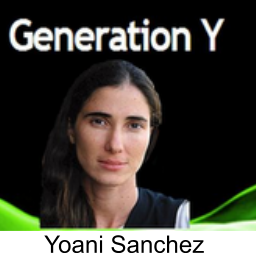 On May 30th Yoani Sanchez, a world-famous blogger, returned home to Cuba after a three-month tour of South and North America and Europe. On her trip, Sanchez gave speeches criticizing President Raul Castro’s Communist-led government. She also met with human rights activists and foreign lawmakers and cultivated relationships with journalists at leading Western newspapers. She said, “It has been a marvelous trip. A trip that is going to change my life in many ways … and I have returned with lots of projects.” After resting with her family, she plans to say more about her future plans. Previously she had said a main goal of the trip was to prepare herself to launch an independent online newspaper in Cuba. Prior posts have discussed Yoani’s blogging and trip. We have provided a general overview of the latest international religious freedom reports from the U.S. Department of State and from the U.S. Commission on International Religious Freedom, and another post analyzed the State Department’s report on that freedom in Cuba. Now we contrast and compare the Commission’s shorter and less detailed report on that subject for Cuba. The report had a few good things to say about religious freedom in Cuba. First, it did not include Cuba in its list of “countries of particular concern” (CPC), i.e., those that have engaged in or tolerated “particularly severe” violations of religious freedom. The Commission also stated that the Cuban government granted the Cuban Council of Churches time for periodic broadcasts early Sunday mornings, and Cuba’s Roman Catholic Cardinal read Christmas and Easter messages on state-run stations. Relations between the Catholic Church and Cuban government continued to improve,” marked by Pope Benedict XVI’s visit to Cuba. The report also commented on what it saw as negative aspects of religious freedom in Cuba. Some of the criticisms echo the State Department’s report regarding the Cuban government’s system for registering religious groups, limiting certain activities to such registered groups, restricting permits for construction or repair of religious buildings, limiting access to state media and denying permission for religious processions outside religious buildings. The Commission, however, fails to mention the Department’s qualifications that these purported restrictions of religious freedom are not enforced in practice. The Commission mentions the Cuban government’s arrest and detention of human rights/democracy activists that prevented them from attending church services, as did the Department’s report. As noted in my prior post, however, these arrests and detentions, in my opinion, are blots on Cuba’s general human rights record, not that for its religious freedom. 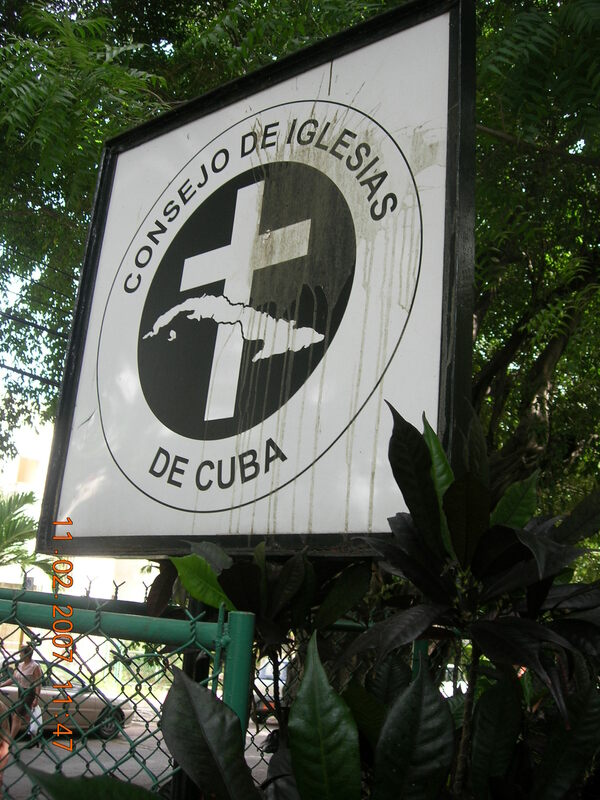 Another negative, according to the Commission, are the alleged Cuban government’s arrests and beatings on four occasions of evangelical pastors and the alleged targeting of the Apostolic Reformation and Western Baptist communities. We, however, do not know all the facts of these alleged events, and even if true as stated by the Commission, they do not, in my opinion, justify the Commission’s overall evaluation of Cuban religious freedom. Cuba has been on this Watch List since 2004. Its inclusion yet again, in my opinion, is due to sheer long-term blinders on U.S. perceptions of Cuba, not to an objective analysis of the facts. I note first that if Cuba properly were excluded from the Watch List, there would be no basis for the Commission’s making any recommendations with respect to Cuba. With respect to the recommendations themselves, the first one seems like an excessive concern with formalities since in practice these restrictions are not enforced. Has the U.S. updated all of its statutes and regulations to conform them to what happens in the real world? The third recommendation should be noncontroversial, and I agree the U.S. should grant tourist visas for Cuban religious representatives to visit the U.S. I also have no problem with the fourth recommendation, but believe that most other countries and regional blocks would not see the alleged violations of freedom of religion or belief that the Commission sees. The second recommendation, however, raises significant problems and is objectionable. It is difficult to know exactly what is meant by recommending the U.S. use its funds to advance Internet freedom and protect Cuban activists, to develop new technologies and to distribute proven and field-tested programs to counter censorship. To me, it sounds like a recommendation for surreptitious efforts at regime change. Remember that the U.S. in 1961 supported an armed invasion of Cuba at the Bay of Pigs, that the U.S. through the CIA had plots to assassinate Fidel Castro, that the U.S. for over 50 years has had an embargo of Cuba and that the George W. Bush Administration had a Commission on Assistance to a Free Cuba that produced a de facto U.S. plan for such a regime change. Another, and more powerful, reason for being at least skeptical of this second recommendation is the case of Alan Gross, a U.S. citizen, who is now in Cuban prison after conviction in 2009 for–as the Cubans see it– being part of a “subversive project of the U.S. government that aimed to destroy the Revolution through the use of communication systems out of the control of authorities.” As an employee of an USAID contractor, Mr. Gross went to Cuba on multiple occasions purportedly to establish wireless networks and Internet connections for non-dissident Cuban Jewish communities and to deliver certain communications equipment to Cubans for that purpose. In 2012 Mr. Gross and his wife sued USAID and the contractor for allegedly failing to give him better information and training for his dangerous work, and this month (May 2013) the Grosses and the contractor reached a settlement for dismissal of the case against the corporation in exchange for an undisclosed monetary payment by the contractor. In short, this second recommendation is not designed to improve religious freedom in Cuba. The State Department’s more balanced recent report on Cuban religious freedom, in my opinion, is better grounded in reality than the Commission’s. While I believe the U.S. should encourage and promote religious freedom around the world, including Cuba, the recommendations by the Commission are unjustified and counterproductive and evidence the same bias against Cuba that we see in other aspects of U.S. policy towards Cuba. The prior post also reviewed the religious makeup of the Cuban people and many other details on the subject that will not be repeated here. Prior posts examined the Commission reports for Cuba for 2010 and 2011(comment to prior post). A subsequent post will discuss the unusual structure of the Commission. The Commission’s heavy emphasis on the relatively few alleged wrongs against evangelical pastors and its ignoring the positive developments in religious freedom for “registered” religious groups like the Roman Catholics, Baptists, Pentecostals, Presbyterians, Episcopalians and Methodists demonstrate a totally inappropriate and unjustified bias in a purported nonpartisan U.S. agency of our federal government. Such a bias is not new. It also was present in the George W. Bush Administration’s Commission for Assistance to a Free Cuba, which regarded unnamed evangelical Christian groups as the only “authentically independent” religious groups that could be used by the U.S. to build a “free” Cuba. 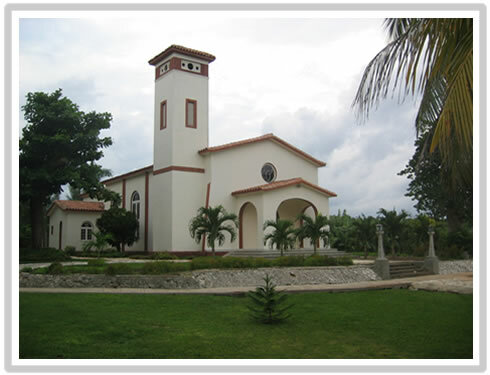 The Cuban Council of Churches, on the other hand, was seen by this U.S. commission as “taken over by the Castro regime in the early 1960s and used as a means to control the Protestant churches” and, therefore, was not to be used by the U.S. The other seven countries on the Commission’s Watch List are Afghanistan, Azerbaijan, India, Indonesia, Kazakhstan, Laos and Russia. 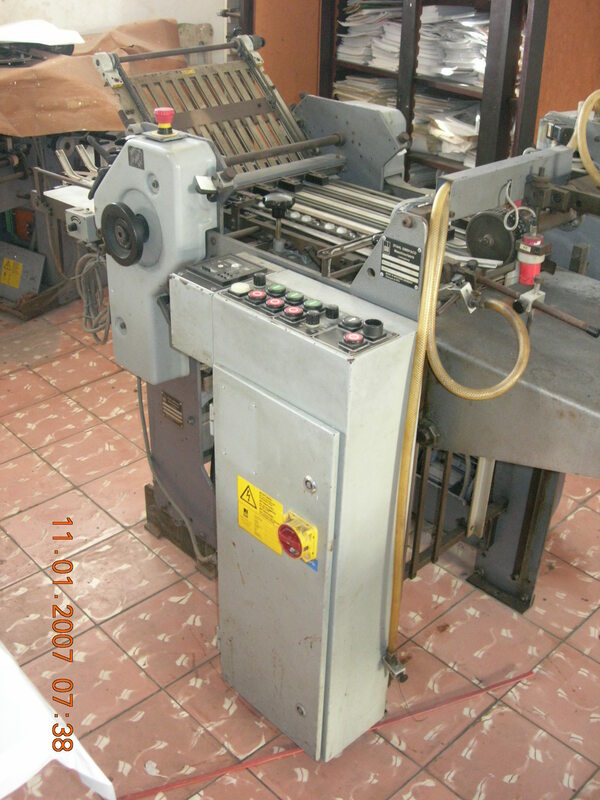 That statute charges the Commission with the responsibility of “making . . . policy recommendations to the President, the Secretary of State, and Congress with respect to [Cuban] religious freedom.” (International Religious Freedom Act of 1988, § 202(a)(2); id. § 202(b); id. § 202(c). See, e.g., Post: The Ridiculous U.S. Designation of Cuba as a “State Sponsor of Terrorism“ (May 20, 2011); Post: U.S. Repeats Its Designation of Cuba as a “State Sponsor of Terrorism“ (Aug. 21, 2011). We have just reviewed the latest international religious freedom reports from the U.S. Department of State and from the U.S. Commission on International Religious Freedom. Now we look at the Department’s recent report on Cuban religious freedom. A subsequent post will examine and compare the Commission’s recent views on the subject. This analysis is based upon my personal involvement in helping to establish and manage a partnership between my church (Minneapolis’ Westminster Presbyterian Church) and Iglesia Presbiteriana-Reformada en Versalles (Versalles Presbyterian-Reformed Church) in Matanzas, Cuba; my going on three church mission trips over the last 10 years to visit that congregation; my visits to the ecumenical seminary–Seminario Evangelico de Teologia (SET)–in Matanzas and other churches and religious organizations on these mission trips; my hearing reports about other trips to our Cuban partner from fellow members of my church; my conversations with Cuban Christians at their church and when they have visited my church in Minneapolis; and my extensive reading about Cuba and specifically religious freedom on the island. According to the report, an estimated 60 to 70 percent (or 6,600,000 to 7,700,000) of the 11 million Cuban people are believed to be Roman Catholic although only 4 to 5 percent regularly attend mass. Membership in Protestant churches is estimated at 5 percent of the population (or 550,000): Baptists and Pentecostals are probably the largest Protestant denominations; Jehovah’s Witnesses, 94,000; Methodists, 35,000; Seventh-day Adventists, 33,000; Anglicans, 22,000; Presbyterians, 15,000; Quakers, 300; and The Church of Jesus Christ of Latter-day Saints (Mormons), 50. There are approximately 6,000 to 8,000 Muslims, although only an estimated 1,000 are Cubans. The State Department report had many good things to say about religious freedom in Cuba. The Cuban government’s respect for religious freedom improved in 2012. Indeed, not mentioned in the report is the de facto pharmacy for the neighborhood that is operated by our partner church in Matanzas with over-the-counter medicines donated by visitors from Westminster and by the Matanzas church’s providing one free meal per week to neighborhood residents, many of whom are not members of the church. In addition, the nearby seminary in Matanzas (SET) now has a clean-water system that was installed by Westminster members and that now provides clean water to SET and to people in the surrounding neighborhood, and SET also provides vegetables from its beautiful gardens to people in the neighborhood. Another clean-water system was installed by Westminster members in Havana’s Iglesia Presbiteriana-Reformada en Luyano (Luyano Presbyterian-Reformed Church), which shares the water with people in its neighborhood. A similar water system was installed last year in another church near Havana by Westminster members. The report’s referencing the Cuban Council of Churches, however, did not mention that the it was founded in 1941 (long before the Cuban Revolution), and its members now include 22 churches, 12 ecumenical movements, and seven associate organizations. The Council, whose Havana offices I have visited, promotes unity among the Christian Churches of Cuba and helps link these churches with other churches around the world. The Council also encourages dialogue between different movements and institutions as a means for Cuban churches to expand their ecumenical vocation of service, thus deepening their responsibilities towards society and all of God’s creation. Finally the Council promotes study, dialogue, and cooperation among Christians to increase Christian witness and enhance life in Cuba. 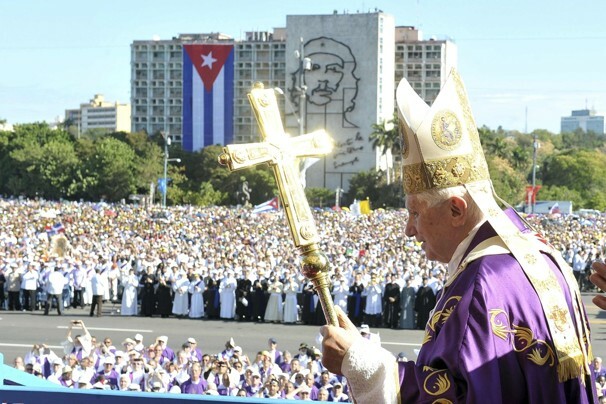 In late March 2012 Pope Benedict XVI visited the island at the invitation of the Cuban government, which assisted in organizing papal masses in large public squares in the two largest cities. During the mass in Havana’s Plaza de Revolucion before a crowd of thousands, the Pope called for “authentic freedom.” The government declared a three-day public holiday to facilitate citizen participation in these events, and videos of the visit were broadcast on state-run television stations with parallel coverage in the print media. The report also had specifics on what it saw as negative aspects of religious freedom in Cuba. The report notes that obtaining government permission for construction of new religious buildings remained difficult. By law religious groups are required to apply to the Ministry of Justice for official recognition. The application procedure requires religious groups to identify the location of their activities and their source of funding, and requires the ministry to certify that the group is not ‘duplicating’ the activities of another recognized organization in which case, recognition is denied. A number of religious groups, such as the Jehovah’s Witnesses and the Mormons, have been waiting for years for a decision from the Ministry of Justice on their pending applications for official recognition. The report states that religious groups may not establish schools. This is true because the Cuban Revolution nationalized all private schools and instead emphasized public education for all children. 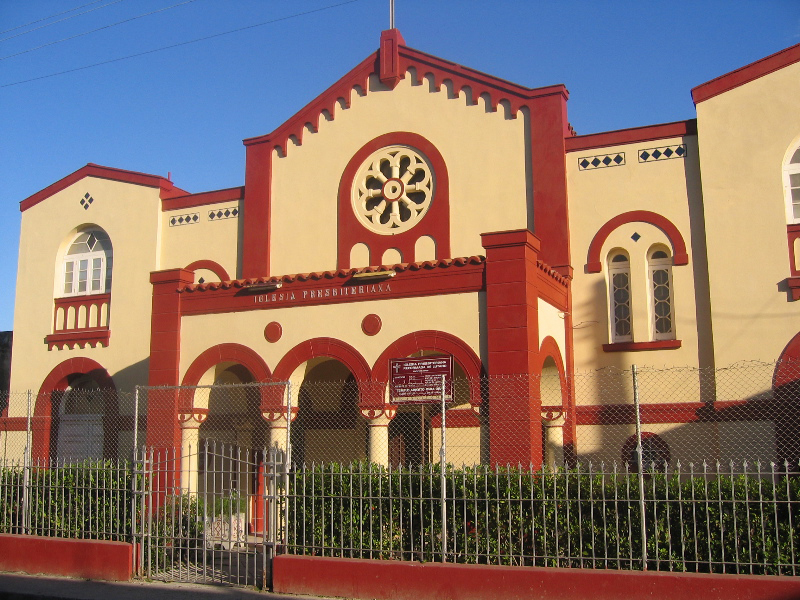 Since 1946 there has been an ecumenical Protestant Christian seminary in the city of Matanzas — Seminario Evangelico de Teologia (SET)–that was founded by the Methodist, Presbyterian, and Episcopal Churches. It has a full curriculum for various degrees as well as other non-degree programs, some of which are offered in other cities on the island. 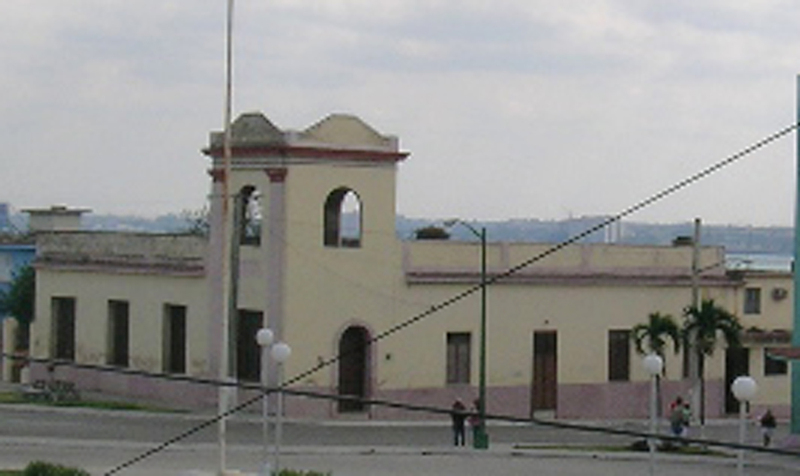 The Methodists recently withdrew from SET to start their own seminary in Havana. SET and the Martin Luther King, Jr. Center at Ebenezer Baptist Church in Havana are developing a program for education of prospective owners and operators of private businesses on the island under the government’s announcement allowing such activities. 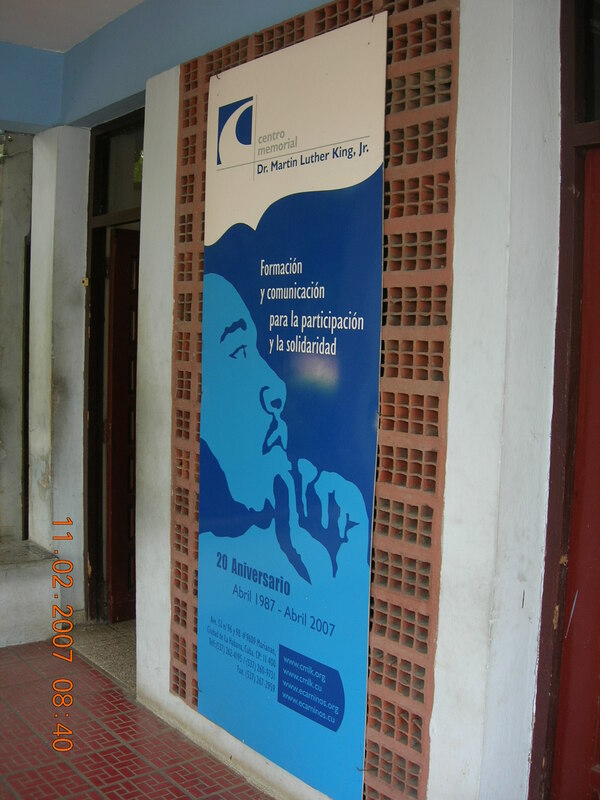 The MLK Center, by the way, was founded in 1987 to provide training and education in King’s philosophy of nonviolence for Cuban religious and community leadership. In the last several summers young people from Westminster have conducted a vacation Bible school at our partner church in Matanzas. Is the glass half empty or half full? This is the question for all human activities since none of us is perfect, and it is the legitimate question about religious freedom in Cuba. In the opinion of a Cuban Protestant leader and in my opinion, the glass of such freedom in Cuba is more than half full. I, therefore, am glad that this U.S. government report does not designate Cuba as a “Country of Particular Concern,” i.e., a country which has “engaged in or tolerated particularly severe violations of religious freedom,” or the ” systematic, ongoing, egregious violations of religious freedom, including violations such as torture, degrading treatment or punishment, prolonged detention without charges, abduction or clandestine detention, or other flagrant denial of the right to life, liberty, or the security of persons.” There is no basis for any such designation, in my opinion. Prior posts examined the State Department’s reports on Cuban religious freedom for 2010 and 2011. Annually the U.S. Department of State, pursuant to statutory authorization, releases a report on the status of religious freedom in every country in the world. In addition, the quasi-independent U.S. Commission on International Religious Freedom releases annual reports on the same subject for selected countries. It should be noted at the outset that these two agencies are not seeking to impose on the rest of the world the U.S. constitutional prohibition of the “establishment of religion” or of “abridging the free exercise [of religion].”  Instead the agencies reports rely upon this definition of the freedom in the Universal Declaration of Human Rights: “Everyone has the right to freedom of thought, conscience and religion; this right includes freedom to change his religion or belief, and freedom, either alone or in community with others and in public or private, to manifest his religion or belief in teaching, practice, worship and observance.” Similar provisions are found in several multilateral human rights treaties. The post will review the latest State Department report on this subject for all 194 other countries in the world and the Commission’s latest report on 29 countries plus one large region (Western Europe). Accordingly the report re-designated the following eight countries as CPCs: Burma, China, Eritrea, Iran, North Korea, Saudi Arabia, Sudan and Uzbekistan. Under the authorizing statute, the Commission is required to designate as “countries of particular concern” (CPC) (or “Tier 1 Countries”) those that have engaged in or tolerated “particularly severe” violations of religious freedom. In its latest report, issued on April 30, 2013, the following 15 countries were so designated: Burma, China, Eritrea, Iran, North Korea, Saudi Arabia, Sudan and Ubekistan (all of which had been designated as “Countries of Particular Concern” (CPC) by the State Department the prior year) plus Egypt, Iraq, Nigeria, Pakistan, Tajikistan, Turkmenistan and Vietnam. The Commission also designates some countries as “Tier 2 Countries,” i.e., countries on the threshold of Tier 1 status, i.e., when their “violations . . . are particularly severe” and when at least one, but not all three, of the criteria for that status (“systematic, ongoing and egregious”) is met. The latest report designated the following eight countries as Tier 2: Afghanistan, Azerbaijan, Cuba, India, Indonesia, Kazakhstan, Laos and Russia. Restrictions on religious dress (full-face veils) in France and Belgium. Failure in Sweden, Luxembourg, Switzerland, Poland, Norway and Iceland to exempt religious slaughter of animals from laws requiring prior stunning of the animals. Suggestions in Germany and Norway that religious circumcisions of male children were illegal. Restrictions on construction of Islamic minarets in Switzerland, and the lack of an official mosque in Athens, Greece. “Incitement to hatred” and other laws in almost all European states that can be used to restrict expression of religious beliefs. Reluctance in many European states to provide accommodation of religious objections to generally applicable laws. Societal intolerance, discrimination and violence based on religion or belief such as towards Muslim women with full-face veils, Jewish people and Jehovah’s Witnesses. It should also be noted that the Commission sometimes takes an adversarial position vis-à-vis the U.S. State Department. For example, on April 30, 2013, when the Commission released its latest report, its simultaneous press release recommended that the Department designate as “Countries of Particular Concern” the seven additional countries the Commission had placed in Tier 1 as noted above. When the Department failed to do so in its May 20th report, the next day the Commission issued a press release criticizing the Department for failure to make additional CPC designations since August 2011 and to do so for the same seven additional countries. Because of my personal interest in Cuba, including its religious freedom, a subsequent post will compare and contrast the two reports regarding that country. Such a comparison, in my opinion, will show that the State Department’s reports are more balanced and fair at least with respect to Cuba. International Religious Freedom Act of 1998, § 102. Id. § § 202, 205. The fascinating structure and composition of the Commission will be the subject of a future post. See Post: International Law Regarding Freedom of Religion (Jan. 1, 2012). A prior post examined the prior State Department report. The State Department report noted that it considers the recommendations of the Commission on CPCs, but that the Secretary of State makes the final decision on that issue. The Department’s report thereby implicitly rejected the Commission’s recommendation for an additional seven countries to be so designated. From her home in Havana, Cuba, Yoani Sanchez has been courageously blogging her critical comments on many aspects of life in her country as noted in a prior post. In January 2013, under Cuban’s new law granting Cubans increased ability to obtain passports, she received her Cuban passport. She was overjoyed by this development after she had been denied a passport 20 times over the last five years. On February 17th she plans a worldwide tour visiting Latin American (Brazil, Argentina, Chile, Peru, Colombia and Mexico), North America (U.S. and Canada) and Europe (Italy, Czech Republic, Poland, Switzerland and Germany). I pray that there will not be any last minute move by the Cuban government to block her leaving the island. I look forward to her comments on Cuba during her visits to these countries. Yoani, congratulations and God Speed on your journey!